Blog | Who is the Worst Gate Enemy? Enemies are usually identified by the damage they cause and a quick look at your automatic rolling gate will certainly give you a hint. There are often a plethora of enemies but the consequences are identical. Damaged or extremely dirty tracks might have ended this way due to human negligence to clean them up or due to a car bumping into them but the result will be the same. The wheels won't roll properly and most probably the gate won't close or open right. What does that leave us with? Certainly with a malfunctioning rolling gate that won't provide the requested security and won't be convenient! Undeniably, when we think about the condition and longevity of our overhead gate, the fact that it is exposed to natural elements at all times is troubling us the most. It is true! Elements will harm the system and surely the material, especially if it's not made of galvanized materials. Most often, components are worn due to their constant exposure to the sunlight, winds, rain, dust and moisture. 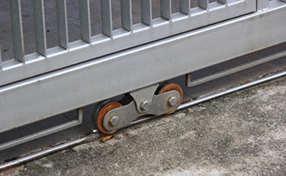 The parts will erode, the movement will become stiff and you might end up with even broken rolling gate components if they are not treated accordingly. The truth is that sun might affect the good operation of the sensors, the wind will land tree leaves into the rails and moisture will shorten the life of most parts. Though, don't forget that your automatic roll up will also wear due to repeated daily cycles. Parts are durable and so is the actual panel/curtain but they will not last for a lifetime. Everyday use does leave its mark! 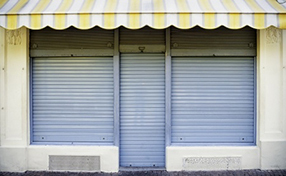 The hinges of swing hung systems will become loose, the storefront gate springs will need replacement and the opener will need upgrading. So, where do all these things lead us? Certainly to us! We have responsibility towards our gates! 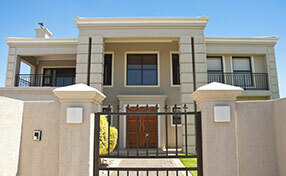 We are the ones called to take decisions about the frequency of rolling gate maintenance and repair. It's good to remember that such problems are natural and do have their solutions. Lubrication will certainly keep the moving parts rolling properly and prevent erosion. Repairs will certainly fix things. When the whole system is checked, repaired and cleaned, the enemies will be eliminated and surely controlled. Have you ever thought whether we are the prime enemies of our broken gate?